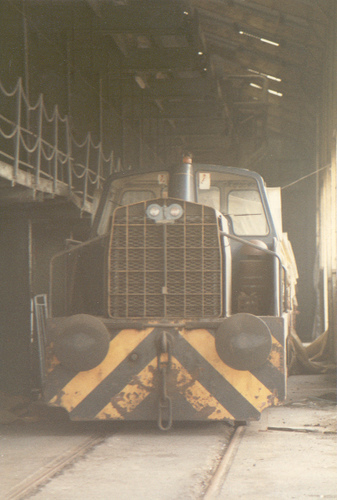 PBA 39 in store at Avonmouth Docks in 1983 after the internal railway system had been closed. The PBA fleet of eight Rolls Royce Sentinel locomotives were in this open sided warehouse and covered by tarpaulins. No 39 was suggested to be the best of the eight and an inspection was arranged.